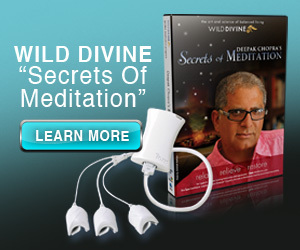 With the Deepak Chopra Meditation you can unleash your full potential applying 3 minutes of your time for 21 days. What is my highest vision for my health and well-being? What is my highest vision in the realm of love and relation-ships? What is my highest vision for success in my life? How do I get in touch with my Higher Self or my Spirit? So I can be inspired and creative, and so I can unleash my imagination and exercise my free will. After each question allow a few moments of contemplation. This meditation exercise takes about 3 minutes. But use more time if you are enjoying yourself. Deepak Chopra claims that after you have done this meditation for 21 days you will notice a change and you will not want to NOT do the meditation any more, as it will become your source of peace and inspiration. You can enhance the depth of your meditation using music specially designed to relax body and mind. I find the most powerful meditation music is underlined with Binaural Beats. I personally like Hemi-Sync, because it was tested and re-tested thousands of times. 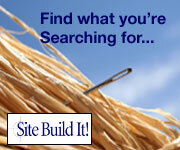 You can try it in this 3-minute Free Trial. Another tool which can help you enter a relaxed state of mind and learn meditation is the IOM Active Feedback Hardware which you can use on your computer. Imagine being able to use your thoughts, emotions, levels of muscle tension, relaxation, and meditative states to control what happens on your computer screen. I would love to know what effects this had on you. Share your story with this meditation method. Have A Great Story About This?